The model 990.18, 990.19, 990.20 and 990.21 diaphragm seals with threaded connection are particularly suited for use in the food industry. 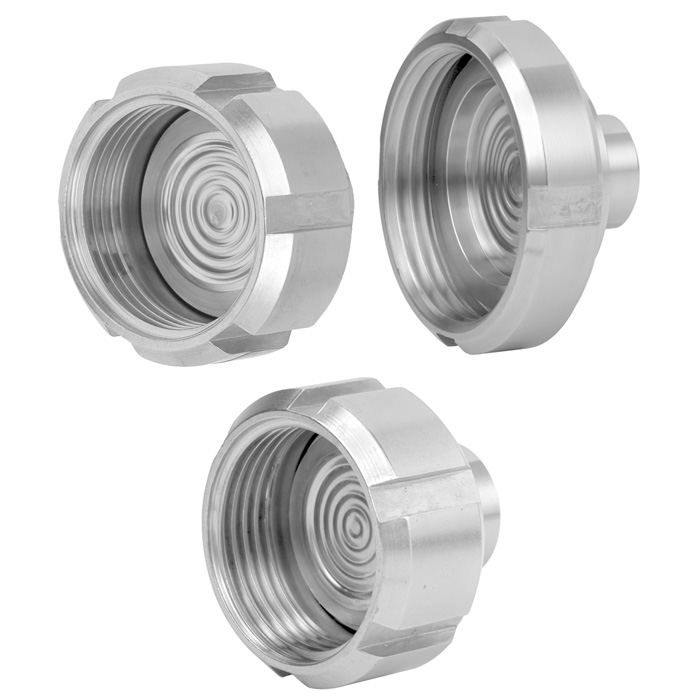 The diaphragm seals can withstand the cleaning vapour temperatures occurring in the SIP processes and thus ensure a sterile connection between the medium to be measured and the diaphragm seal. Mounting of the diaphragm seal to the measuring instrument may be made via a direct connection, for high temperatures via a cooling element or via a flexible capillary. For the material selection WIKA offers a variety of solutions, in which the upper body of the diaphragm seal and the wetted parts can be made of identical or different materials. The wetted parts can, as an option, be electropolished.